The Meteora literally meaning "middle of the sky", (etymologically related to meteorology), is a formation of immense monolithic pillars and hills like huge rounded boulders which dominate the local area. It is also associated with one of the largest and most precipitously built complexes of Eastern Orthodox monasteries in Greece, second in importance only to Mount Athos. By the 17th century monastic life in Meteora was flourishing with a total of 24 monasteries. Today only six are still in use. Meteora is included on the UNESCO World Heritage List. 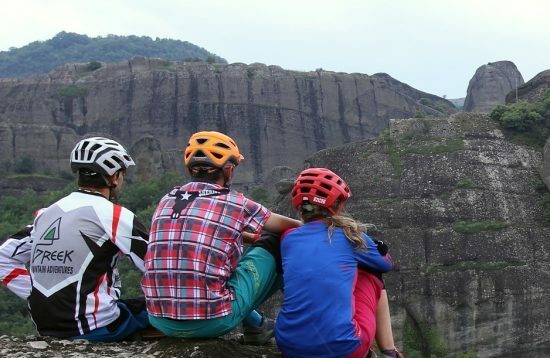 At first glance you may think that Meteora is no more than a place for quiet worship by the resident monks, but in fact it is also a playground for nature and adventure lovers who have found ways to enjoy Meteora’s amazing rock formations. 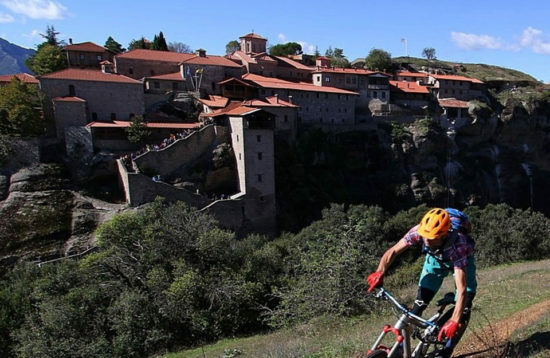 That is why, Meteora considers to be the third most famous destination for climbing globally! Extra bonus: one may sample some of Greece’s most delicious mountain cuisine in the towns of Kalambaka and Kastraki.